Hello my crafty friends! Sarah here with you all today and I have a fun little card to share. I didn't think I would fall in love again with a stamp set... but I did! This little Narwhal is so darn cute-- I find adding the little bow cracks me up... and the sentiment... "hi buddy!" hmmmmm what a perfect sentiment to send off to a friend just to say hi :) Enjoy! Love it!!! 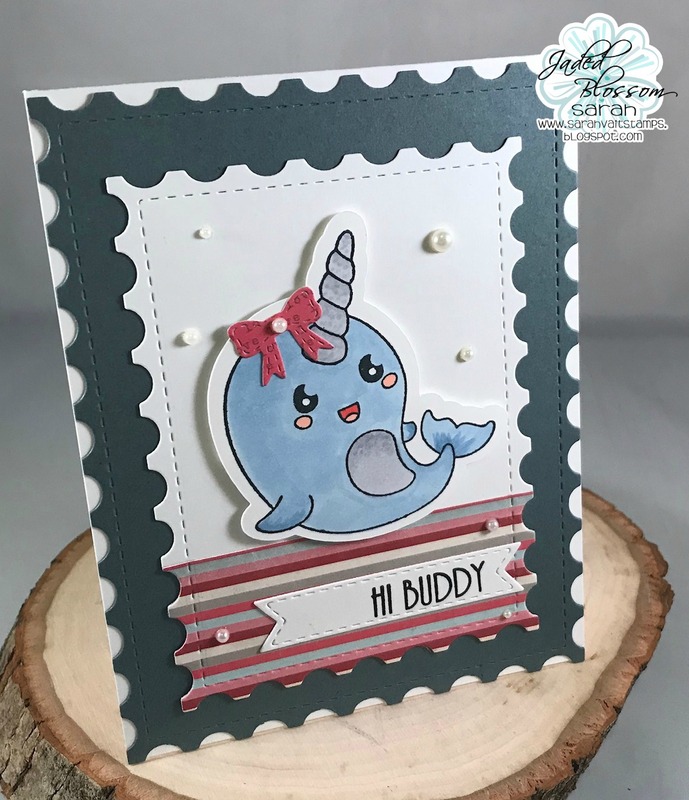 The cutest Narwhal! !